Typography vector design in vintage style. Detailed images of all the letters in the Latin alphabet. 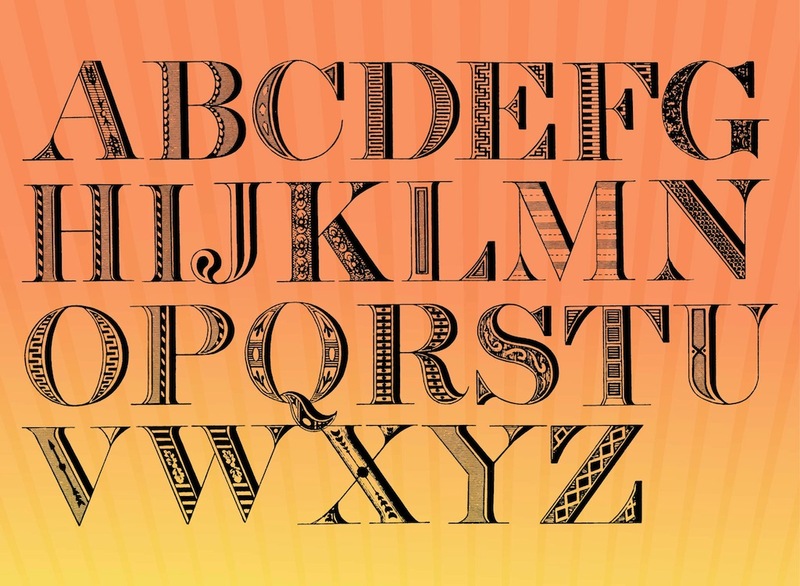 Hand drawn graphics of the ornament typeface, different decorations on every letter. Free vector image for typography, typefaces, letters, writing, vintage fonts and calligraphy designs. Tags: Alphabet, Decorations, Hand Drawn, Letters, Retro, Typography, Vintage.